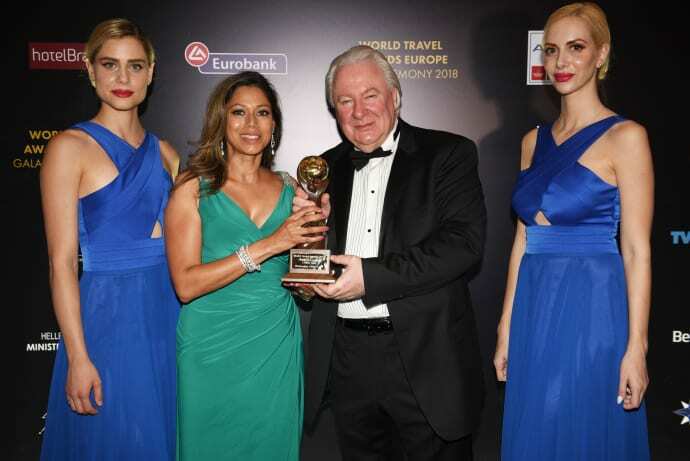 Norwegian Cruise Line is proud to announce it has been awarded ‘Europe’s Leading Cruise Line’ at the annual World Travel Awards, which took place in Athens at the Europe Gala Ceremony on 30 June. This marks the eleventh year in a row that Norwegian Cruise Line has won this award, beating nine other leading industry competitors to win this top spot. Norwegian’s sixteen ships sail a variety of itineraries, from the Caribbean to the Panama Canal, Europe, South America and the Mediterranean, as well as Australia and the Far East. All itineraries feature Norwegian’s exclusive ‘Premium All Inclusive’ offering bringing customers a world of choices with premium branded beverages, specialty coffee with meals, 60 minutes free Wi-Fi per person and all services charges and tips related to all-inclusive services included in the fare. Αναρτήθηκε από geop στις 4:34 π.μ.